Merging Your Affiliate Offers | Yenom Marketing Inc. If you launch your Internet marketing business as an affiliate marketer, then you’ll want to know how to merge your offers to play off of one another. On eBay, it’s called cross-promotion. auction for an iPod and find cross-promotions of all sorts of accessories, battery packs, and bling they can add onto their order. You can do the same with an affiliate business. Let’s say you want to promote work at home opportunities – like Internet marketing to stay at home moms. 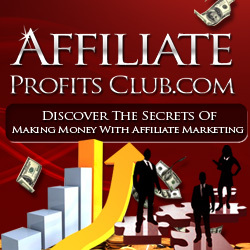 First, you start with an eBook promotion about affiliate marketing. It’s broad, it fits a large demographic – and it converts well. What else could the stay at home mom – soon to be entrepreneur need that you can sell? Think of her personal situation. But there’s more she’s going to need. If she’s learning the ropes of affiliate marketing, she’ll need to understand tactics and tools that are available to make her work easier and increase her profit potential. This is just the tip of the iceberg. When you first scout out your affiliate product promotions, think of all the ways you can merge other offers into the mix so that they complement the original product and still suit the needs of your prospect perfectly.